We produced white tea using the material from Ma An Shan. This is one of the best sources of tea which gives extraordinarily strong body and aftertaste. Ma An Shan white tea gives very long lasting finishing and sweetish aftertaste. This is one of the exquisite white teas in our lineup. Ma An Shan is located at the west of Lin Cang, quite near to Myanmar border. 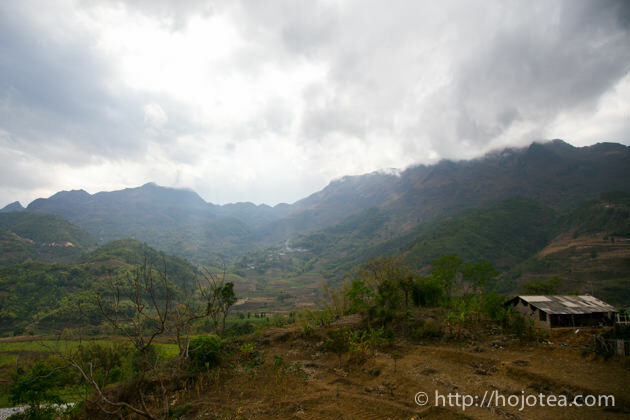 The name of Ma An Shan is used for the mountain as well as the small village. In Chinese, Ma An means horse saddle. It is named as such since the shape of the mountain resembles the saddle. 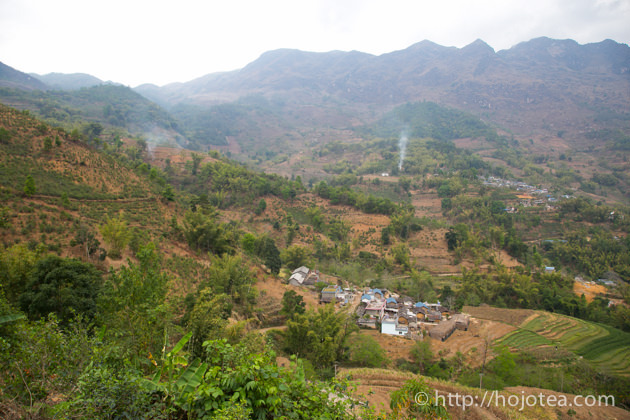 The altitude of Ma An Shan village is around 1500-1700m. We are sourcing tea from the deeper area on the mountain where the altitude is above 2000m. Due to the huge temperature gap between days and nights, tea grows very slowly and it accumulates much more tea constituents. The main characteristic of Ma An Shan tea is extremely strong body. The flavor is so rich and it gives full bodied and bold drinking sensation. Tea is produced completely in natural farming style. The farmer gives no fertilizer, no pesticide, no pruning and not even weeds are removed from the tea gardens. In other words, the Ma An Shan tea garden is not being taken care and the tea tree is grown completely in a natural environment. It makes the growing speed of tea extremely slow, and tea is very rich in polyphenols and minerals. As a result, tea gives a very long-lasting finishing; you may feel the sweetness down the throat for a long time. This Ma An Shan White Tea was custom-made according to our exact requirements. Before the tea season starts, we discuss with the manufacturer in detail regarding the ideal specifications of tea. For ordinary Bai Mu Dan white tea produced in Fujian province, the plucking standard is 1 bud and 2 leaves. However, we decided to follow the pu-erh or oolong plucking standard which is 1 bud and 3 leaves, as we wish to have stronger flavor and taste. We conducted the withering process for more than 2 days in order to give sufficient dehydration stress and initiates enzymatic fermentation, as such the sweetness of tea will increase more, although the color of tea leaf turns darker to beige-brown color. Nowadays, the Bai Mu Dan white tea in Fujian province is usually withered in a much shorter time since the manufacturers put emphasis on the tea color. In Fujian province, they are extremely particular about the color of tea. 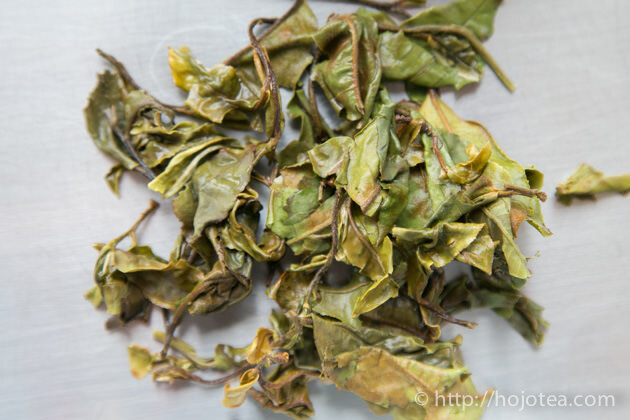 With a short withering process, the tealeaf can maintain green color and the appearance in overall is brighter. However, tea tends to gives a pungent greenish aroma and lacks lingering sweet taste. After a long discussion with the manufacturer, we decided not to emphasize too much on the tea color. We did not mind that some leaves turn beige color too. What we wanted was the sweetness and matured flavor. The withering process was not carried out in a specific room but under the natural wind. Tea leaves are spread on the bamboo trays and withered under the well-ventilated place. You may notice the very identical sweet aroma like Muscat grapes and a hint of raw honey and floral note. 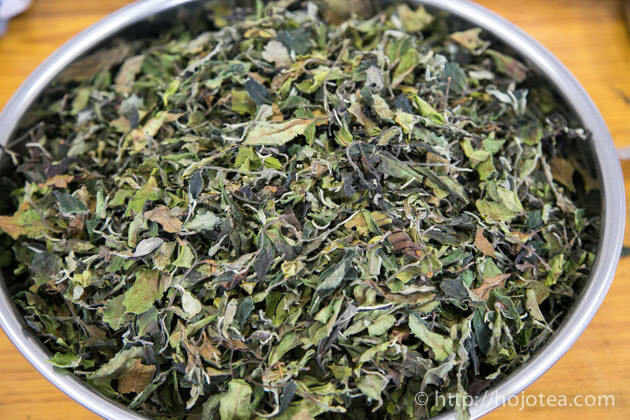 We processed white tea in our own oven so as to remove the crude flavor and enhance the sweetness. 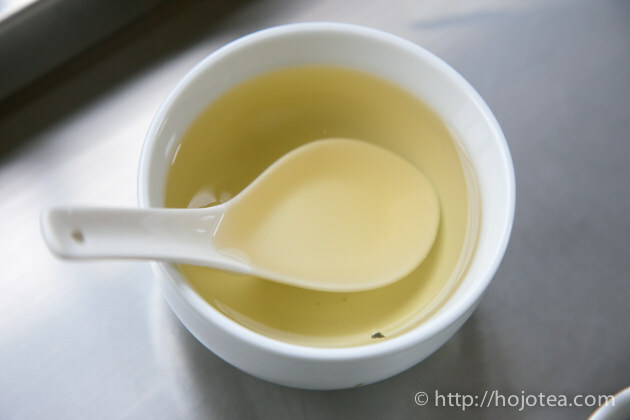 Many people enjoy drinking the fresh white tea. 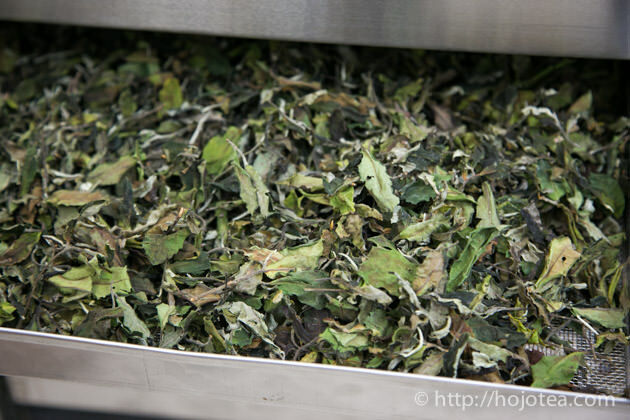 But now it is also a trend to keep the white tea for more than a few years for maturation. Tea with high polyphenol content, like Ma An Shan tea, becomes matured faster and develops a very sweet fruity flavor. In addition, the fresh tea leaves used to make Ma An Shan white tea have been attacked by the tiny green flies. Due to the insect attack, tea leaves naturally produced the substances that will develop muscatel flavor after the maturation. I suppose that Ma An Shan white tea may develop extraordinarily sweet flavor, similar to the flavor of ice wine. If you wish to speed up the maturation process, please leave the vacuum-sealed bag unopened and keep it under the warm environment. The higher the average temperature throughout a year, the faster the maturation takes place. Another way to enjoy Ma An Shan white tea is to brew with cold water. I put about 5g of tealeaf in 1 liter of water. After keep it at ambient or in the fridge for a few hours, the cold-brewed tea is ready. If you feel the taste is still too light, you may infuse it for another 1-2 hours. If you think the taste is too thick, you may add some water to dilute it. If you wish to extract more flavors, please use water that is boiled once and cooled down. I often keep cold-brewed white tea in my fridge and whenever I feel thirsty I will drink. It has very refreshing taste, soothing and giving full satisfaction thanks to the strong aftertaste. Since white tea is lightly fermented and processed in a very natural way, children will love it!